Scientific disciplines, or disciplines that aspire to be scientific, distance themselves from their past. That past is acknowledged as a record of how the discipline became what it is, but knowledge of that past is not part of that discipline. The history of science is not science. But this cannot be said about humanistic disciplines such as literature, philosophy and history itself. Nor does it work for IR, which is at least in part a humanistic discipline. The history of ideas about international relations remains part of the IR field despite recurrent efforts to exclude it. In recognition of this fact, IR as it emerged as a distinct academic subject at the start of the twentieth century was conceived as multidisciplinary. History, along with law, politics and economics, was understood to be one of the contributing disciplines. So from the beginning there was interest in the history of international relations and the history of ideas about international relations. This is evident in textbooks like Hans Morgenthau’s Politics among Nations (1948) and in new editions of classic works such as those published by the Carnegie Endowment and, later, Cambridge University Press and the Liberty Fund. Since the 1970s there have been many studies, some providing synoptic surveys of past thinkers (Boucher, 1998; Tuck, 1999), others treating a particular thinker or a perennial topic like just war, the balance of power or imperial rule. Yet despite this activity, international history and the history of international thought are still niche subjects. Our aim in this brief essay is to argue that the contribution of intellectual history to the field is more significant than its marginal status indicates. 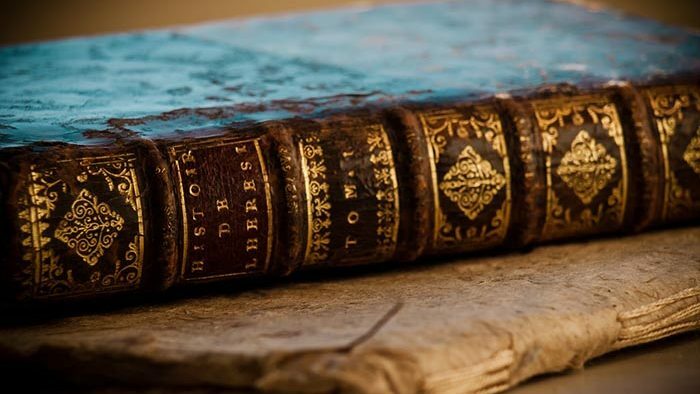 In particular, we suggest, the historian’s insights and skills can lead to more informed readings of canonical texts, to discovering non-canonical ones and to a better understanding of the ideas that define our subject. The premise of intellectual history is that ideas are important in human activity and therefore in making sense of it. You can’t make a will without the idea of property or explain national self-determination without distinguishing between nation and state. Sovereignty, preventive war and the responsibility to protect are ideas, and like other ideas they have a history. But as time passes, the meanings of words used to convey ideas are increasingly obscured and these meanings must be recovered to avoid misunderstanding those ideas. The word “sovereignty” is a case in point, having become so identified with absolute power that those engaged in the effort to define the principle of a responsibility to protect (R2P) had to argue that sovereignty is best understood as implying duties as well as rights: a clear indication that words and their meanings matter. Ideas are embedded in the discourses that shape how people in different times and places have understood their experience. For the intellectual historian, these past understandings need to be made intelligible to those who do not share them, and they are needed to explain changes in thought and action. But for some who write on international relations, the past is less an object of inquiry than a repository of unproblematic information to be used for present purposes. The result can be uncritical acceptance of oversimplified stories or imagined turning points, such as that the modern states system was established by the Treaty of Westphalia. But historians know that medieval ideas persisted into the modern period, exerting an influence not always visible. There were more states in Europe before 1648 than after that date. Dynastic empires continued down to the twentieth century and other kinds of hierarchy still challenge the equality of states as a principle of international order. Thinking of international relations as consisting of symmetrical interactions between independent states obscures the degree to which international history is a story of empires and imperialism (Keene, 2002). Once we abandon that assumption, we notice the asymmetrical relations that obtain between great and lesser powers, metropoles and colonies or settlers and indigenous peoples (Pitts, 2018). Historical inquiry reveals nuances and complexities that have the potential to transform how we understand our subject. Claims about the past also part company with evidence and therefore with genuine history when we appeal to the authority of a canonical text to support a favoured conclusion, or when we read our own ideas back into a classic work. Hedley Bull’s mistaken claim that for Hobbes there is no morality outside the state and therefore nothing to restrain sovereign power reflects his own moral scepticism. It provides a good example of how IR theory can go wrong and that intellectual history has something to offer. Such mistakes are especially likely when we neglect the historical context in which a work was written and the ideational languages available to its author in writing it. The point can also be stated positively: reading a classic work in context can lead to insights that are obscured in conventional treatments. Intellectual history offers the student of international relations an alternative to theoretical abstraction and naïve empiricism. It reminds us that theories, no matter how universal their claims, emerge from experience and that experience is local. And it reminds us of the limitations of material explanations. Facts are not independent of ideas: what we call a fact is not a brute given but the outcome of an inquiry, a conclusion whose validity depends on the evidence supporting it. The hazards of interpreting the international past are well illustrated by the disciplinary uses commonly made of three canonical thinkers: Grotius, Hobbes and Kant, sometimes taken as eponyms of Martin Wight’s three traditions of international thought (Wight, 1991). Grotius has been identified as the father of international law, as an advocate for peace and for morality in war and as a thinker whose view of international relations rests on an idea of human sociability diametrically opposed to Hobbes’s antisocial individualism. But historical scholarship has shown each of these claims to be a myth. International law existed as a body of ideas and practices long before Grotius, who far from innovating continued the tradition of basing it on an oil and water combination of reason and custom. Grotius does not clearly or consistently distinguish natural law from the law of nations – ius gentium, law not between but common to different peoples – or articulate the modern view of international law as a distinct body of rules governing relations between states. Far from envisioning an end to war, he develops a moral system rationalizing predatory attacks by the Dutch East India company (Van Ittersum, 2006) and, more generally, affirming the permissibility of aggression, conquest and coerced agreement. As for how war is conducted, Grotius justifies torture, executing or enslaving prisoners of war, pillage, devastation and the indiscriminate slaughter of civilians. He regards such atrocities as lawful because they were accepted practice and did not seem to him to contravene natural law. The IR literature treats Hobbes, largely on the basis of a single chapter from a single work taken out of context, as the preeminent theorist of international anarchy and a prototypical political realist who denied the possibility of society apart from the state or the existence of objective moral principles. But Hobbes did not say that there could be no society without the state, only that it would be meagre and unstable. Nor did he say that the sovereign establishes moral order or that human beings in the state of nature are without moral guidance. He understands moral rules to be objective and universal, which means that they do not rest on a sovereign’s subjective will. Moral rules oblige outside the state at least in conscience and within it they constrain the conduct of the sovereign as well as that of subjects (Malcolm, 2002). Hobbes, then, did not defend the amoral character of interstate relations. It is telling that when one turns from the international relations literature to the writings of intellectual historians, one finds that Hobbes is treated neither as a political realist nor even as an important theorist of international relations. Kant is often mentioned in the international relations literature as originating the thesis that democratic states are inherently pacific, as a revolutionary thinker who would replace the pluralistic international system with a world state, as an ethical cosmopolitan, and as the quintessential idealist whose principles preclude compromise. The Kant of the intellectual historian is quite a different figure. He is thinker in the republican tradition, not the tradition of liberalism and certainly not a democrat. His understanding of history is providential and teleological, not based on empirical generalizations or probabilities. And he sharply distinguishes politics from ethics, asserting the autonomy of the political sphere and the importance of coercion in securing political order (Maliks, 2014). International relations theorists typically assume the existence of perennial questions that past thinkers were trying to answer. This can lead them to overlook questions that those thinkers were actually asking and the audiences they were addressing, and to interpret their writings in ways that ignore the vocabularies available to them as well as historical changes in the meanings of words. When this happens, similarities between present concerns and those of the past are exaggerated. Without the sensibility of the intellectual historian, which invites reading classic works in context and knows that there are many contexts, it is easy to repeat received interpretations that bolster one’s own conclusions. The historian can help us resist unhistorical uses of the past by bringing professional standards to bear in interpreting works whose ideas the passage of time has made obscure. Instead of seeing past thinkers as our contemporaries, asking the same questions as those that interest us, we learn that they were asking different questions and providing different answers. These answers may be relevant to our concerns but their relevance has to be established, not merely assumed. Many fields have canonical works – works that scholars mention as important in their field or in its history. For IR, these include, besides works by Grotius, Hobbes and Kant already mentioned, others by Thucydides, Machiavelli, Vattel, Rousseau, Burke and Mill, followed by a lengthy and increasingly contentious list. At that point we are no longer speaking of a canon because of uncertainty about what it includes. The canon of international thought has meant, for the most part, only the most famous works. It is worth keeping in mind that the idea of a canon derives from ecclesiastical tradition and denotes the authoritative measure of a thing. So, a canon of books is the measure of a field of study. But, as we know, a field can be measured in different ways for different purposes. The IR canon must therefore be seen as a construction, even if we are unaware of how it was constructed. A few observations can be made about this canon. First, it does not include recent works like E. H. Carr’s The Twenty Years’ Crisis or Kenneth Waltz’s Theory of International Politics. Canonical works are those with staying power and whether these books will still be read many years from now cannot be known. Second, there are few works by women, either because in the distant past women did not write books about international relations or because the international is being defined in a way that excludes their contributions. The situation in more recent times is not so different. In 2009, for example, the journal Foreign Policy published a top-ten list of books on international relations by women, but no books by women authors made the journal’s top-ten list of books on international relations. Third, the canon does not include works by authors outside the West, though a few such works – Sun Tzu’s Art of War, Kautilya’s Arthashastra or Gandhi’s Hind Swaraj – might make an appearance on a longer list. Although plugging such works into a Western canon could not transform it, the exercise might provoke thought about the assumptions underlying the idea of a canon and its ideological uses. Here, the intellectual historian needs to engage in self-criticism, for intellectual history in the West has been West-centric with less reason than the history of international thought. The move towards deparochializing intellectual history itself is still in its early stages (Moyn and Sartori, 2013; Whatmore, 2016). A different sort of problem is that when canonical works are mentioned, it is often the same few passages, such as the Melian Dialogue or Leviathan Chapter 13, that are quoted or cited. This suggests that even the works that contain these passages are not getting read, not to mention other works by these authors. Not surprisingly, the ideas these passages are thought to express are frequently misunderstood. It is a mistake, for example, to ascribe the arguments of Pericles or the Athenian representatives at Melos to Thucydides, or to read Hobbes as holding that there is no morality outside the state. The intellectual historian makes an important contribution to IR by taking its practitioners beyond the simplistic approach to the past that the idea of a canon represents. It warns us of the danger of reading selectively (confining our attention to the famous passages), unhistorically (reading a text without paying attention to various contexts in which it can be understood) or not reading it at all (relying instead on second-hand accounts or disciplinary myths). The historian can also point us to the contributions of non-canonical authors whose ideas are important in establishing the historical contexts of canonical works, or that are interesting in themselves. Moving beyond the canon would enable us to learn from a wider range of genres, for besides works of moral, legal and political philosophy we would encounter histories, biographies, memoirs, letters, journalism and other sources of information and insight. Doing so would enlarge our view of international relations, past and present. And it would remind us that the historicity of ideas applies not only to past thinkers but to ourselves. For elaboration of our argument and additional references, we refer readers to Nardin (2013) and Bain and Nardin (2017). Bain, W. and T. Nardin. (2017) ‘International relations and intellectual history’. International Relations 31 (3): 213–26. Boucher, D. (1998). Political theories of international relations. Oxford: Oxford University Press. Keene. E. (2002). Beyond the anarchical society: Grotius, colonialism and order in world politics. Cambridge: Cambridge University Press. Malcolm, N. (2002). ‘Hobbes’s theory of international relations’. In Malcolm, N. Aspects of Hobbes. Oxford: Clarendon Press, 432–56. Maliks, R. (2014). Kant’s politics in context. Oxford: Oxford University Press. Morgenthau, H. (1948). Politics among nations: the struggle for power and peace. New York: Alfred A. Knopf. Moyn, S. and A. Sartori, eds. (2013). Global intellectual history. New York: Columbia University Press. Nardin, T. (2013). ‘International political theory’. In Burchill, S. and A. Linklater, eds. Theories of international relations, 5th ed. Basingstoke: Palgrave Macmillan, 291–318. Pitts, J. (2018). Boundaries of the international: law and empire. Cambridge, MA: Harvard University Press. Tuck, R. (1999). The rights of war and peace: political thought and the international order from Grotius to Kant. Oxford: Oxford University Press. Van Ittersum, M. (2006). Profit and Principle: Hugo Grotius, Natural Rights Theories and the Rise of Dutch Power in the East Indies 1595-1615. Leiden: Brill. Wight, M. (1991). International theory: the three traditions. Leicester: Leicester University Press. Whatmore, R. (2016). What is intellectual history? Cambridge: Polity Press. Terry Nardin is a professor in the Division of Social Sciences at Yale-NUS College in Singapore. He is the author of Law, Morality, and the Relations of States and The Philosophy of Michael Oakeshott, as well as editor or co-editor of Traditions of International Ethics, The Ethics of War and Peace, International Relations in Political Thought, Rationality in Politics and Its Limits, and Michael Oakeshott’s Cold War Liberalism. William Bain is an associate professor in the Department of Political Science, National University of Singapore. He is interested in International Relations theory, international political theory and intellectual history. He is the author of Between Anarchy and Sovereignty and is currently completing a book entitled Political Theology of International Order.